NewMed Diagnostics – "Intelligent Testing Solutions"
Provides nationwide services with onsite/mobile services in Illinois, Missouri, Kentucky and Indiana. We provide cost effective mobile and clinical drug and alcohol testing, phlebotomy and paramedical services, DNA/Paternity testing, MRO services, DOT Consortium, and laboratory medical testing. 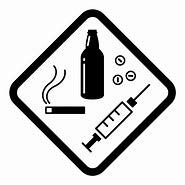 Our DOT certified collectors provide confidential, DOT and non-DOT drug and alcohol testing services that are customized to meet the needs of everyone from the individual to the large corporation, while striving for integrity in testing. We specialize in onsite/mobile testing providing our services discreetly at your location and on your schedule or at a clinic nationwide. We are the best choice when dependability counts. NewMed Diagnostics is a provider of mobile phlebotomy and paramedical examination services to local and nationwide insurance and biomedical companies and laboratories. Our staff includes highly trained and dedicated technicians/phlebotomists whose top priority is the care of your client/applicant which directly benefits your company. Our qualified staff and accredited laboratories will obtain accurate results for your familial relationship test. Whether you need to confirm paternity/maternity for personal, legal, or ancestral reasons, our certified collectors will conduct DNA/Paternity collections according to strict, legally admissible procedures and provide the results with an efficient turn around time. NewMed Diagnostics offers a comprehensive DOT drug & alcohol testing program compliant to 49 CFR part 40. Our program is designed to keep your drivers and company compliant and safe. Utilize our onsite services for less driver downtime, or choose on of our nationwide collection sites. NewMed Diagnostics offers full Medical Review Services to our customers. Our Medical Review Officers are licensed and board certified physicians who have passed a special examination which allows them to review and interpret drug and alcohol test results. If you are a company that is supplied with screening supplies, but needs a test to be administered by a certified collector, or you need additional confirmation services from a POCT test, our company can provide collection only and laboratory only services. All collections and testing is conducted following standardized procedures established by SAMHSA/DHHS and NIDA. NewMed Diagnostics can customize a drug testing program based on the needs of your company or your clients, taking into consideration the type of employee and job that is being performed. We strive to provide the best drug testing services to companies of any size and currently serve a wide variety of businesses throughout Illinois, Missouri, Kentucky, Wisconsin, and Indiana. NewMed Diagnostics offers the 2 hour Reasonable Suspicion Training as required by DOT federal regulations. Our training will educate your supervisors how to observe, report, and initiate reasonable suspicion drug & alcohol testing as required by this regulation. Our Employee Education Training informs employees about the dangers of drug & alcohol use/abuse and educates each employee on your Drug-Free Workplace Policy. This is a great alternative to those with no insurance or high deductibles. NewMed Diagnostics offers the most affordable pricing for blood chemistry testing. No doctor's orders are required. We can perform these tests at a price you can afford. All you need to do is call us. Registration can be done in minutes. Use one of our 5000+ collection sites to complete your blood draw. Results can be reported directly to you or your physician.